AND ONE DAY THERE SHALL COME A REUNION (and I don't mean the Brute Force one, although technically I guess that applies, too)! But anyway, the sound of the breaking of the 72nd seal of the Roboplastic Apocalypse is the announcement of a London comic book convention with a guest lineup so tremendous, so titanic, ...so Robotastic, that I had to call upon Yoshi of the TransMissions podcast to talk about it! 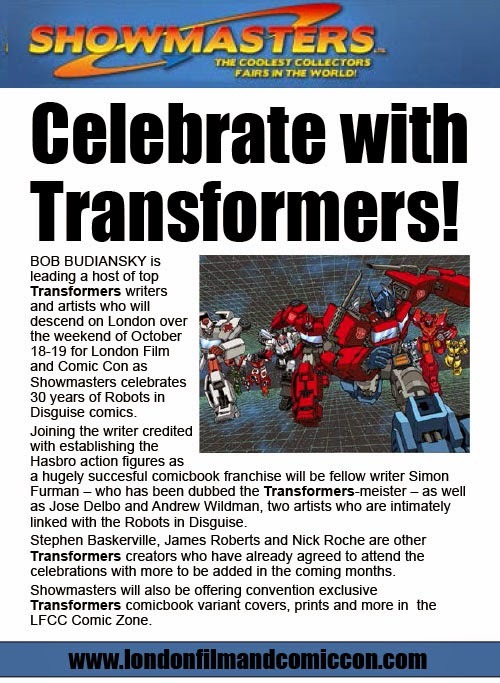 Yes the London Film and Comic Con Winter 2014 is less than a month away and like a vast predatory bird there will descend the legendary titans of G1 Marvel Transformer comic book creation Bob Budiansky, Simon Furman, José Delbo, and Andrew Wildman! 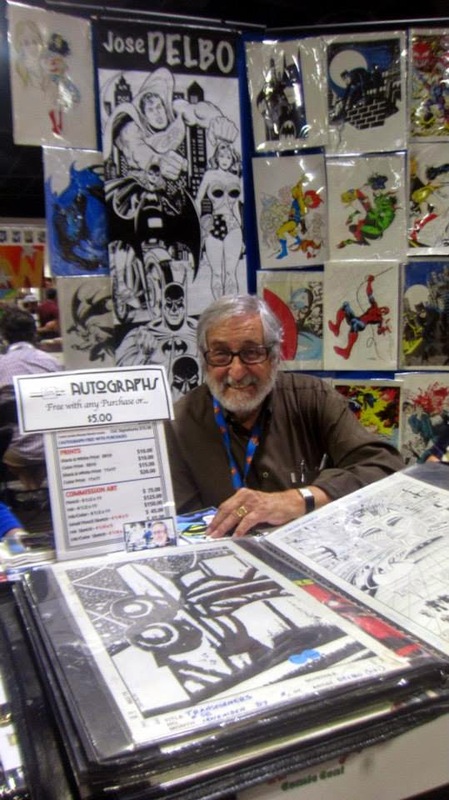 So to celebrate this epic occasion Yoshi and I call upon the magic of old bootleg panel recordings to discuss the last time Simon Furman, Andrew Wildman, and Bob Budiansky were at a convention together over ten years ago. Plus through the magic of very new and not at all bootleg recordings, I get to talk to José Delbo about going to the big London show! What audience questions should you definitely ask if you go to the Transformers panel in London? What audience questions should you definitely NOT ask if you go to the Transformers panel in London? 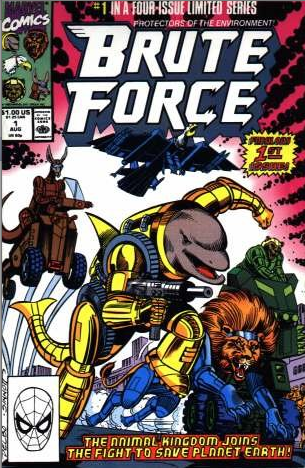 And what comic book in its right mind would do a Brute Force reunion? Find out all this and more, much more in this HERE HAVE SOME WILDBUDFURBO, COURTESY OF MY PODCASTALYPSE edition of the podcastalypse! It’s called London Film and Comic Con! Get your Brute Force #1 signed like I did, London People! José Delbo destroys the Transformer Universe and kills humans, too! This is the entire bootleg recording (and a transcript I wrote) from the G1 Comic Creators Panel at the Official Transformers Collectors Convention 2004. Please keep in mind this is an unofficial fan made transcript and as such it is subject to errors or inaccuracies. I have edited out verbal pauses, redundancies in speech, and other things for sake of easier reading. I may have misspelled some words or omitted whole sentences by accident. In short, if it's wrong it's my fault. If there were specific areas I was especially unsure about, I wrote what I thought I heard, I asterisked them, and put footnotes at the end about why I was unsure of what I wrote. Thanks to everyone at Alt.Toys.Transformers who contributed corrections and clarifications when I first posted it there, and to the guests and staff of OTFCC 2004, wherever you are. I start as the announcer has already begun with the introductions. 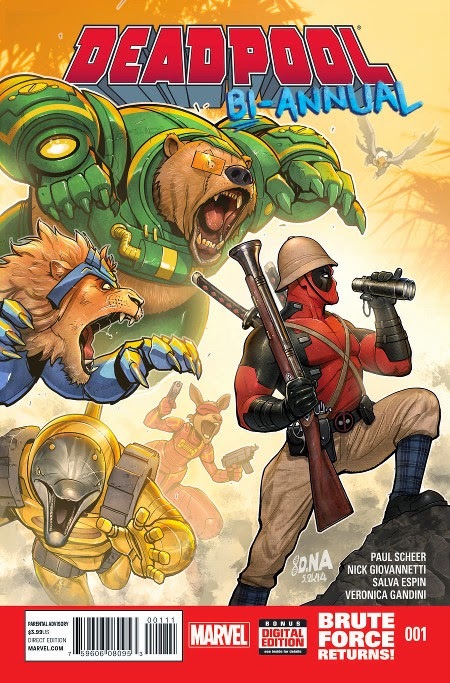 Announcer: [already talking]...you already know them-Bob Budiansky, writer extraordinaire [audience applauds] we have Andrew Wildman, artist extraordinaire and of course, Simon Furman, writer extraordinaire [audience applauds]. Being that this is my first panel that I've ever done, I'll just throw it over to you and let you guys ask some questions and have some fun for the next, oh, hour. Bob Budiansky: Actually we've decided to choreograph it a little bit here. Announcer: I'll just leave the experts to it! Bob Budiansky: All right. We didn't choreograph it that much. 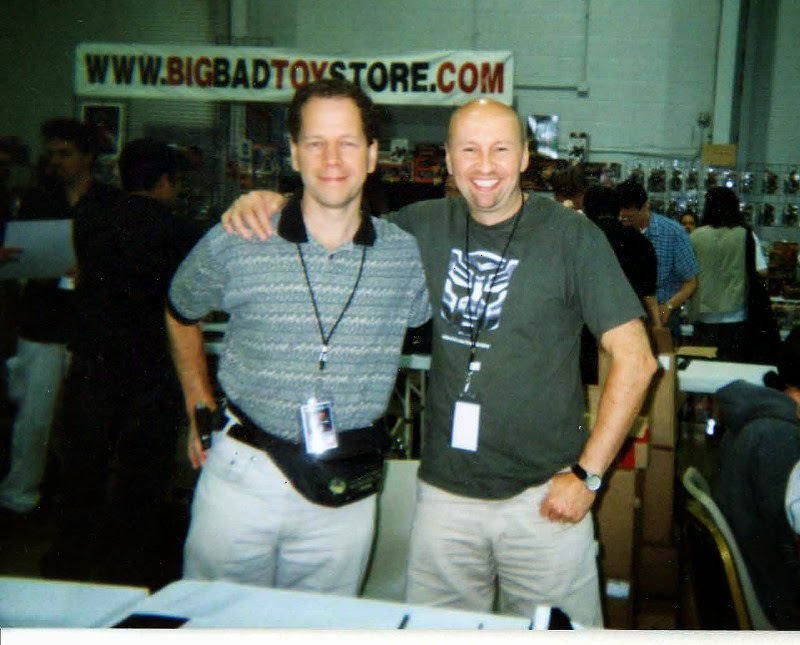 Bob Budiansky: Simon suggested that since this is my very first Transformers convention and you've already heard him talk ad infinitum-he's already told you all his stories-that I should give a little introduction to the very very beginnings of Transformers as far as the publishing world. So basically what happened, assuming you're interested here..